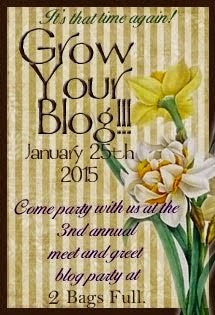 Sugarlane Designs: Grow Your Blog Party Winner. I’d like to say thank you to all who visited….all the new readers and those who subscribed to my blog….I’ll endeavour to keep you coming back for more. Unfortunately I can only draw one winner in the giveaway today, but if you’d like any of my patterns, they are available HERE in my Craftsy store (and there’s lots more on the drawing board!). Ok….here goes…… Mr RNG please………. Hi Wendy, thanks for offering a chance to win in the give away. Your designs are beautiful and so is your blog. You have won both of my patterns shown above. I’ll send them off to you shortly….I hope you enjoy making them. I’d love to see them once they’re done so please send me a photo and I’ll share them on my blog. Thanks to Vicki and everyone who entered. There’s lots more happening so keep an eye on Sugarlane! Congratulations Jeanneke! Wendy has beautiful designs which I'm sure you will enjoy making. Have a great week Wendy. Cheers, Tracy. And once I will have made them, I'll let you know. 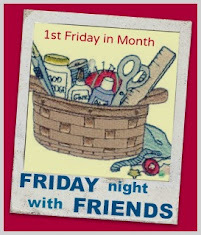 Thanks again and wishing you a wonderful week full of sunshine and happy stitching. Congrats to Jeanneke! She was recently my partner in a postcard exchange, and she does beautiful work.